We’re here to help people with disabilities improve their lived experience both day to day and by being able to access more life enriching opportunities. We are ready to put our minds to any challenge that comes our way, whether the request is from a parent, carer, health professional or directly from someone with a challenge they’d like to overcome. We know that not every problem can be solved with equipment, but we draw on our wealth of engineering and technical knowledge to help whenever we can. 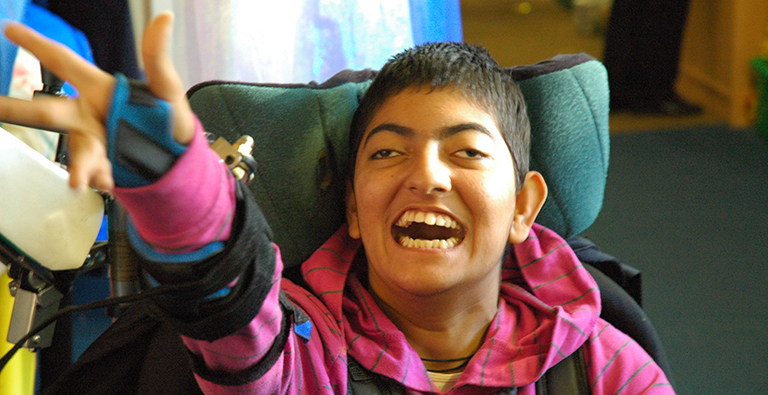 We help people of any age, and with any kind of disability regardless of their financial circumstance. For children like Summer our equipment can help support physical development, and play an important part in physical therapy with the support of a medical professional. 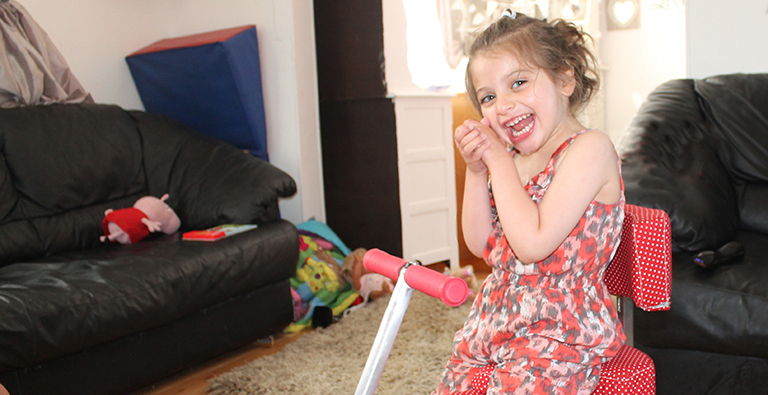 Read about Summer’s custom made trike in our Stories. Our equipment can help young people engage with education and to develop skills for more independent living. See how Saima was helped to develop new skills in this short film. We can help support people’s lifestyles after a life changing illness or injury. 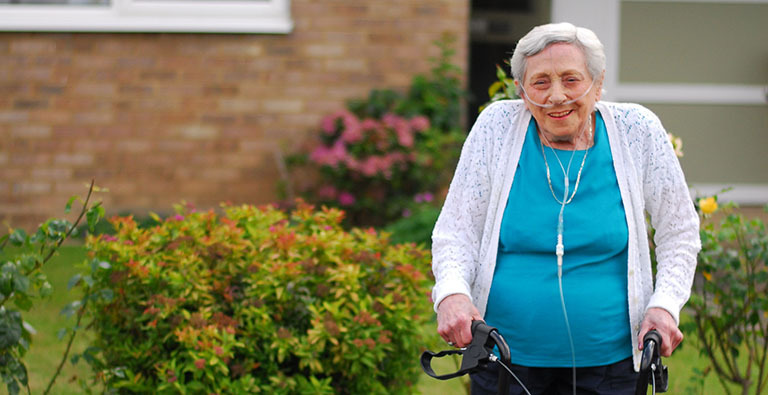 Deteriorating health left Sarah unable to leave the house without an oxygen supply. DEMAND’s technical team adapted a walking frame to carry her heavy oxygen bottle when out and about. Sarah talks about her new found lease of life here. DEMAND not only creates equipment which address every-day needs. We also help people to access and enjoy sport and leisure activities. 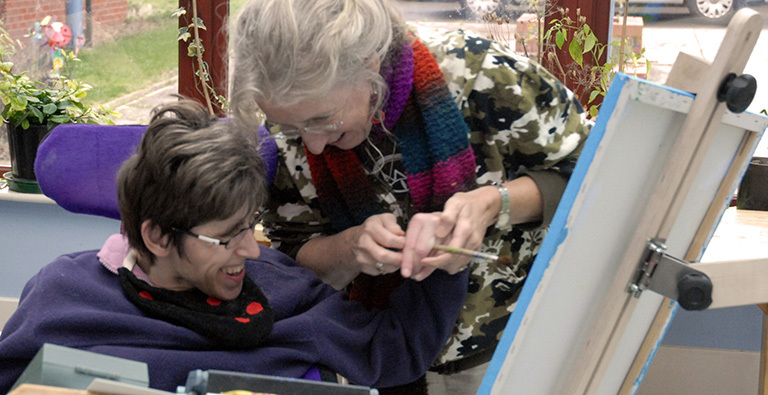 We believe that disability should be no barrier to opportunity, so we work on projects like this one for a local artists’ group who are now able to create great art no matter what degree of mobility they have. Read The Birchwood Painters story. Equipment that people have purchased or been issued with all too often doesn’t meet their needs, which is where DEMAND step in. However, our work is not funded by the NHS or Local Authorities so we rely heavily on voluntary donations. Help someone live life their way today with a monthly gift.